Vaishali is an average Indian girl living in a big city. As she gets transferred for a new job, she meets a new colleague named Shoeib. 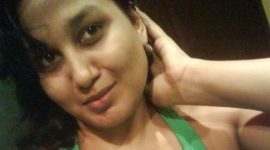 This story will give you immense and sublime sexual enjoyment when you listen to the experiences from Vaishali’s own tongue. Be prepared to be dazzled.